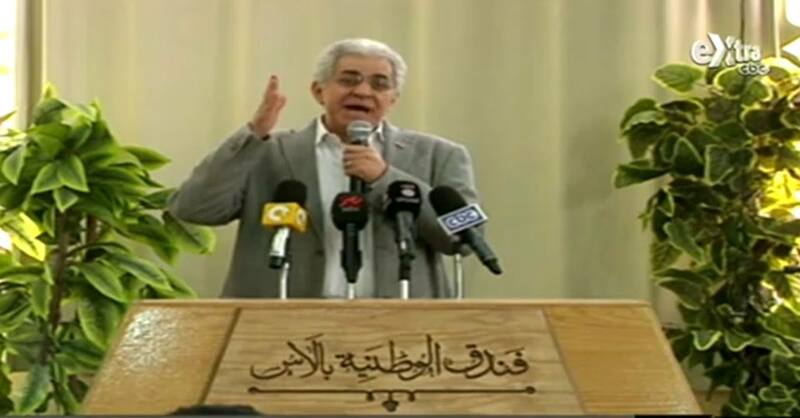 Presidential candidate Hamdeen Sabahy launched his campaign in the Upper Egyptian city of Assiut on Saturday, and highlighted various points of his electoral platform, including solar energy, foreign policy, and ways to combat corruption. Saturday marked the first official day of campaigning for Egypt’s only two candidates vying for the presidency, Hamdeen Sabahy and Abdel Fattah Al-Sisi. The Presidential Elections Commission (PEC) announced the two presidential hopefuls as candidates for the elections, scheduled to take place on 26 and 27 May. Egyptians will only be able to choose between Al-Sisi and Sabahy, guaranteeing that the country’s next president will be chosen after only one round of voting. Sabahy launched his campaign in the Upper Egyptian city of Assiut on Saturday, and highlighted various points of his electoral platform, including solar energy, foreign policy, and ways to combat corruption. 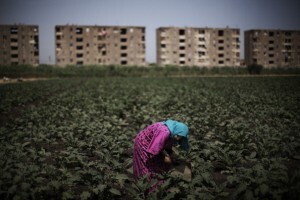 Sabahy also criticised government policies that had left places like Upper Egypt and rural areas marginalised while central urban areas like Cairo took large shares of the state’s budget. He also reiterated his demand that Al-Sisi agree to publicly debate him, something that the latter’s legal advisor Mohamed Abu Shuqqa said “would not be unacceptable”. Al-Sisi has not officially rejected the idea of a debate between the two candidates. This week it was announced that the former military chief, the heavy favourite to win the upcoming poll, would have his first television interview on Monday 5 May with presenters Ibrahim Eissa and Lamis Al-Hadidy. On Saturday, Al-Sisi’s campaign launched its official website and met with members of the media. Earlier this week, the PEC notified Sabahy that he had violated regulations put in place for campaigning by announcing his platform in a press conference last Wednesday, days before the official opening 3 May. The commission said it “would consider taking legal action for this offence” and asked CBC Extra satellite channel, which broadcast the press conference, to not replay the footage, according to state-owned Al-Ahram. 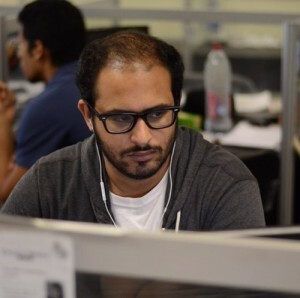 As a result, the Sabahy campaign, which had originally planned to spend Labour Day in Mahalla, announced it would postpone its visit in adherence with the dates of campaigning put forth by the PEC. In a statement the campaign added that it would not reveal the “details” of Sabahy’s platform until after 2 May. Sabahy has won the support of groups including Al-Dostour Party, the Social Popular Alliance, the Revolutionary Socialists, and the Justice (Al-Adl) Party. Al-Sisi is supported by a number of prominent politicians and public figures, Al-Wafd Party, and the Free Egyptians Party. The Egyptian Social Democratic Party announced that it would officially remain neutral ahead of the elections.